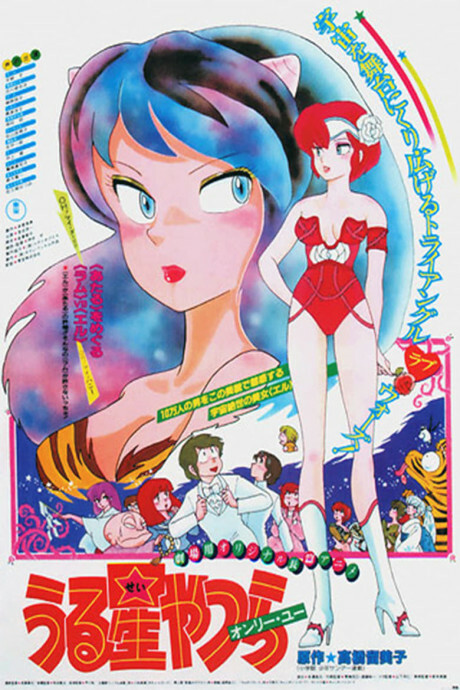 Lum doesn't need much assistance going ballistic when everyone in Tomobiki gets an invitation to Ataru's wedding -- and she's not listed as the bride! It seems that some 11 years ago, Ataru played "Shadow Tag" with a young girl named Elle and won. Unfortunately, Elle was yet another Alien Princess; and on her planet, if a boy steps on a girl's shadow, they have to marry. When Elle's emissary comes to make arrangements, Lum redefines the term "the atmosphere was electric," but to no avail: a force-field now protects Ataru from her high voltage love-zaps. Lum's friend Benten suggests a pre-emptive wedding, and they proceed to abduct Ataru and all of the wedding guests, and the stage is set for the shotgun wedding of all time!